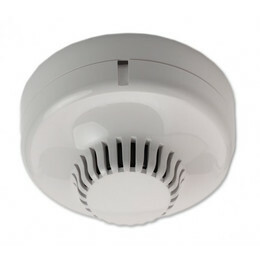 The Z630-3P is a Polar White, conventional optical smoke detector. It provides reliable sensing for most conventional fire alarm applications and is part of the Ziton Z600 range of conventional fire detectors. The Z630-3P's aesthetic design and proven stability in air movements associated with air conditioning systems have made it an ideal selection for modern building interiors. It fully meets the requirements of EN54 Pt 7 and is certified by several international approval bodies. The Z630-3P operates on the light scatter principle making it effective in applications where fires producing large particle smoke can be expected.